At the intersection of Jalan Ampang and Jalan Tun Razak is a new two-storey mall with an artsy focus. Spanning about 130,000 sq ft, The Linc KL is surrounded by art installations, multiple eateries and home-grown shops catering to locals and visitors. Punctuated with pockets of green, the mall has little distinct features that sets it apart from the rest. Chairman of The Linc Development Sdn Bhd Tan Yew Jin put it quite aptly, “One of the challenges given to the design team when we first started this project, is that the trees would stay. The team has done an amazing job by incorporating the existing trees into the overall mall design.” Here are just some of the things you can do at this brand new retail destination that offers a slice of quiet in our bustling city. Other than the grand trees and surrounding greenery, what really makes The Linc KL unique is the artworks that breathe life into the area. 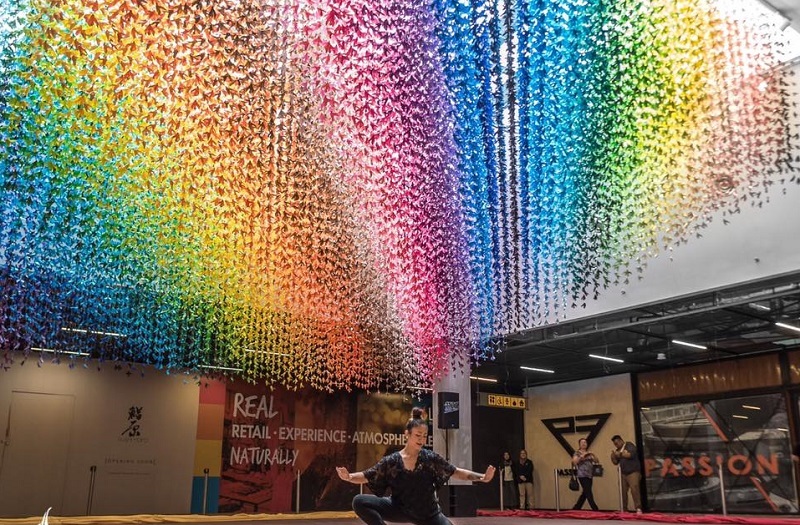 During our media preview, an art installation consisting of 41,600 paper doves was revealed in dramatic fashion, complete with a moving performance by Odissi dancer, January Low. Made up of 40 beautiful colours, the origami piece was put together in six months by the staff of Property Division to celebrate unity, love and peace. As you walk through the mall, unique artworks emerge in vibrant colours. 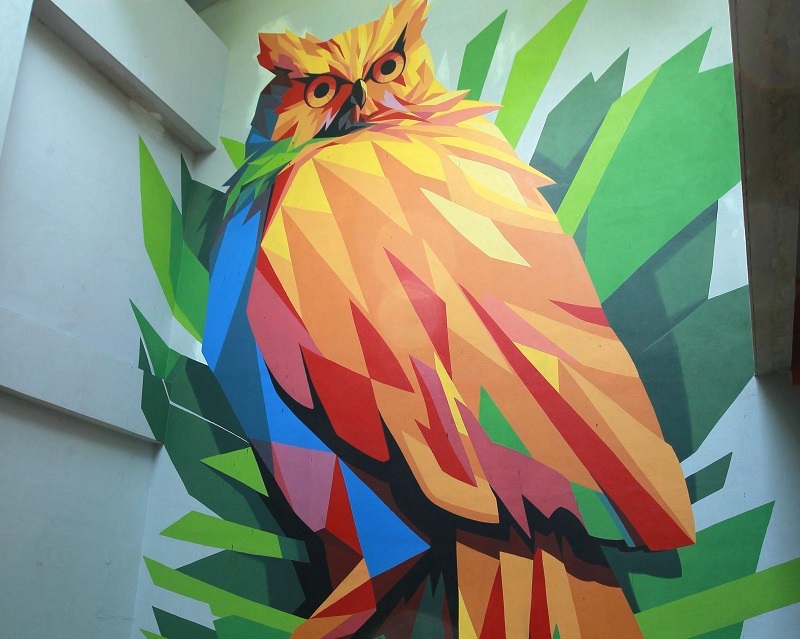 Visible from all floors, facing a tree, is the giant acrylic masterpiece called The Owl by Amarul Abdullah. The 26 year-old wanted to re-imagine this misunderstood creature of the night into an adorable and colourful polygon vector image. The same artist also painted Tropical Floral, a mural of beautiful flowers and plants on the first floor that complements the tree in the centre of the space. Around the corner is Stephanie Ng’s Luna Lana light bulbs, which hover above a colourful staircase that goes up to the second floor. With many other works by artists Choo Sew Ling, Wee Ra, Min Yin Thant, Lim Anuar, Charles Chee, and Yip Yew Chong, The Linc KL really is an artistic treat for the eyes. With a multicultural mindset, The Linc KL has made it a point to include restaurants from a wide range of cuisines. On the ground floor, there's Spice Garden, an award-winning Indian restaurant. Next door is Wrappe, an outlet offering a variety of wholesome wraps and sandwiches, and Ben’s Independent Grocer, where you can grab a snack at the Independent Coffee & Crumbs Bakery or even build your own yoghurt tub from an assortment of granola, fruits, nuts and superfoods at Glow. 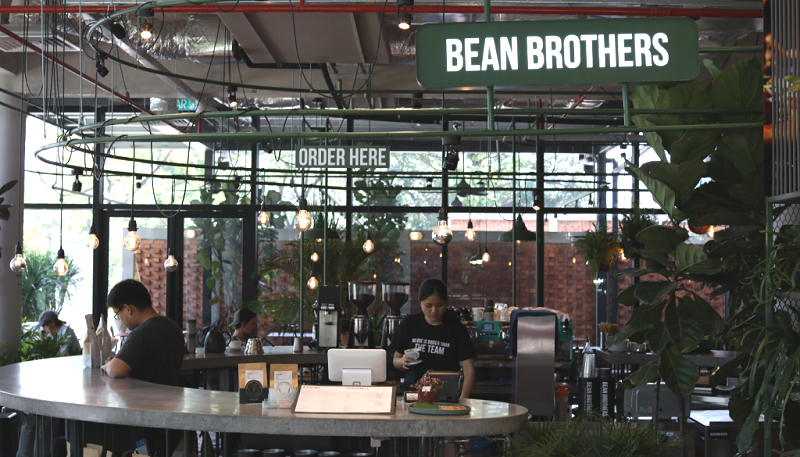 For dessert and coffee, head to Bean Brothers, which just opened its second store filled with greenery. On the first floor, Bo All Day Dining serves delicious and healthy food sourced from organic local farmers in an elegantly designed space while Ben's offers hearty, shareable dishes that are perfect for weekend brunches. Just next door, Harriston Chocolatier’s first signature outlet sells locally-made chocolates with unique flavours such as ginger, chilli and curry. Moving up to the second floor, De.Wan 1958 by Chef Wan presents the experience of a modern Malaysian culinary adventure. 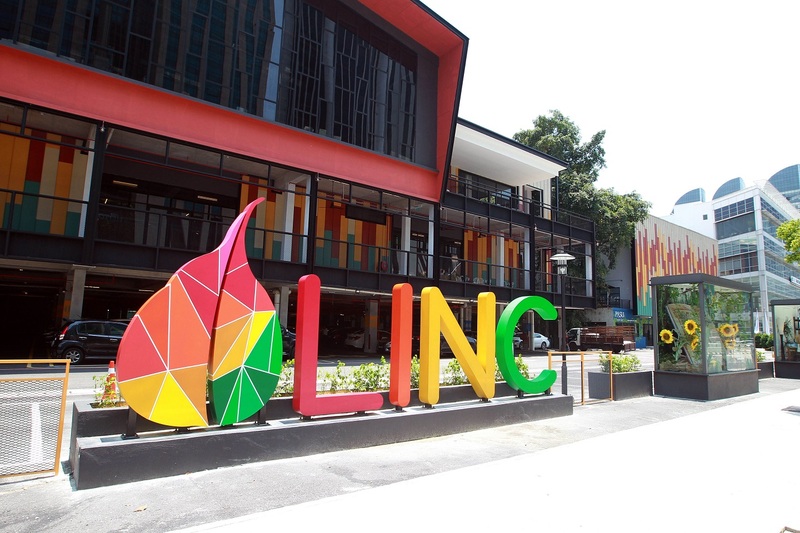 The Linc KL prides itself on honouring local enterprises, such as Kapten Batik, a popular online retail business selling batik-inspired apparel for the younger generation; and Bendang Artisan, an award-winning local handmade ceramic ware outlet with contemporary yet functional pieces in favour of simple and sustainable design, on the second floor. 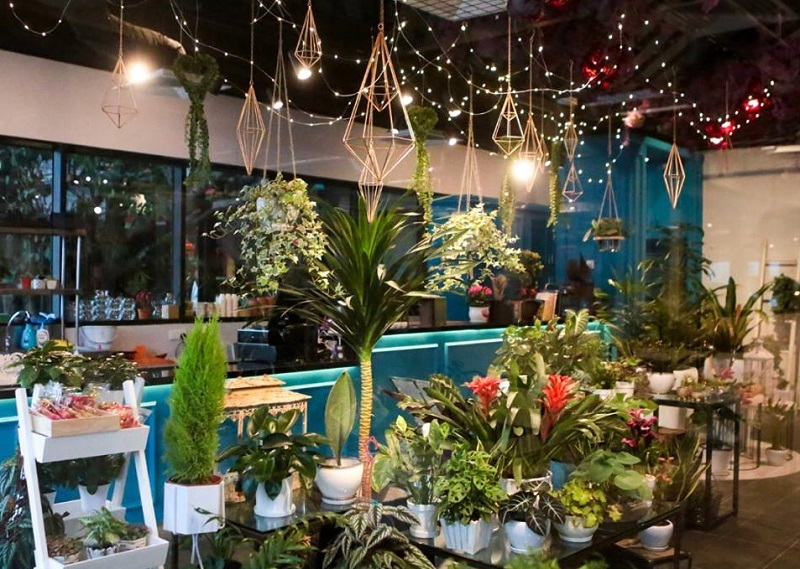 Pasu Crafted, located on the ground floor, is a new brand to the scene, which claims to educate customers on the advantages of indoor plants by introducing stylish pieces to beautify indoor spaces. 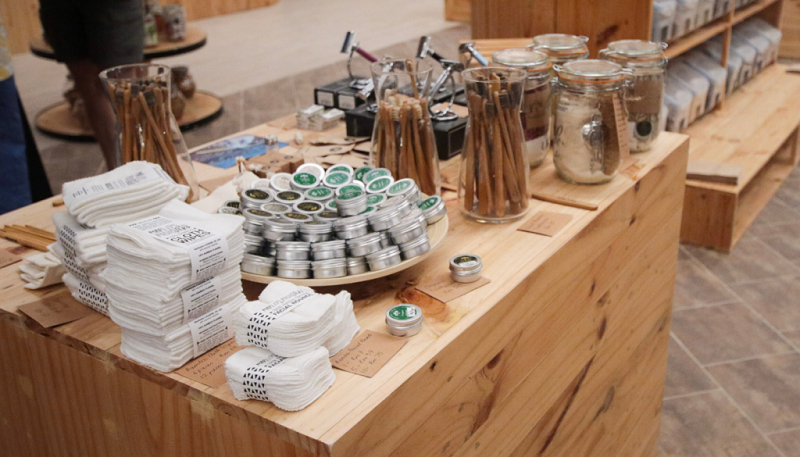 Turning its focus on community, The Linc KL has teamed up with PurpoSE Malaysia to create a Sunday Market at the centre courtyard on its ground floor, which will be used to organise workshops every now and then. 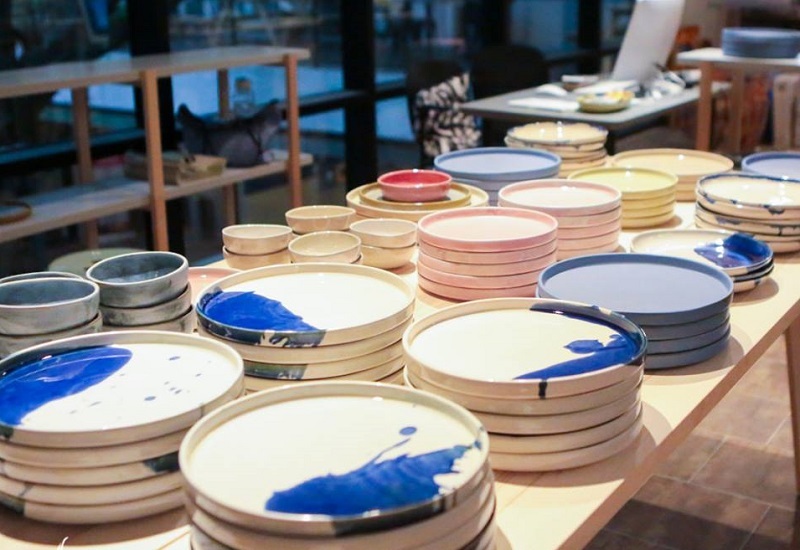 The mall’s interest in sustainability also caught the eye of Frangipani Bulk and is now the home of this popular online retailer’s first physical store. On top of that, ‘escape room’ Hauntu by Breakout makes a fun addition to the mall, bringing custoemrs a blend of live theatre, role play and storytelling featuring real actors and intricate mazes that revolve around colonial hotel filled with paranormal activities. The Linc KL is located at 360, Jalan Tun Razak, KL. Daily, 10am-10pm. For more information, see here.